VJAS Building – We help you realise your dreams! When you build with us, the person you talk to during look what i observed planning and design, is the actual builder responsible for all aspects of construction – from plans, permits and construction, to handing you the keys. We’re not a big, impersonal volume builder! When you build your dream home with us, it’s the personal approach that makes the difference – “our family”, building for you. We’re locals too – we’ve lived in the area all our lives! Because we are local, we’re part of the community – we see our clients out and about all the time – they stop us in the street to say hi! Our clients become our friends and we all like to look after our friends!. Word of mouth and our reputation, to us is “number 1”. This means that we’ve never had to advertise, as our clients (and their friends and family), become our repeat business. We have some clients who are onto their third house with us! We have created all sorts of living spaces, for all sorts of clients. We’re not afraid to investigate new ideas, products and building techniques – but our experience tells us what works for our clients, and their pride in their new home, tells us that we’re right. Out team is local too and we’ve had the same team together for the last 15 or more years! This means reliability and quality! We will always keep you in the loop and deliver what we promise. We take pride in our ability to do a great job on time and to budget. Yes, this commitment to perfect does take a little bit more time – but because the end result is better, you will recommend us – not only when you move in, but for years after. Working to a tight budget, does not mean cutting corners, or scrimping on quality – it means being efficient, effective and organised. This, and our commitment to understanding your specific requirements, by listening and by working with you at each and every stage, we ensure that all your needs are met – all within your budget. 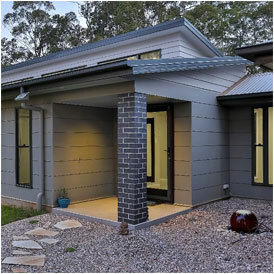 Talk to Victor today on 0417 807 215, to discuss all your dream home ideas.